benchex is a consultancy firm specialising in the cooperation between brands and retail. The benchex Retail Barometer© is a management tool for identifying brand-individual potentials from a retail perspective. 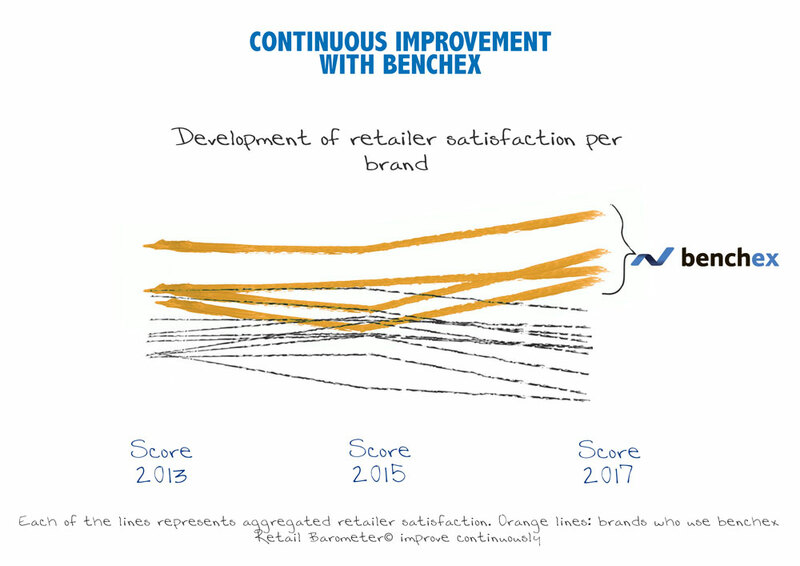 With the Retail Barometer© companies optimize the cooperation with the trade: benchex determines the competitive strengths and weaknesses of the brands from the trade view. Concrete proposals for measures ensure optimised processes and more success for manufacturers and dealers. We prepare our simultaneous projects on behalf of multiple brands. With just one questionnaire, we evaluate all the important brands in one market sector. The brands’ performances can only be managed if the scale, i.e. : the market climate in each respective category, is correct. We determine specific, brand-focussed strategic measures for your brand based on its performance vs. that of the competition. We work in all major markets. 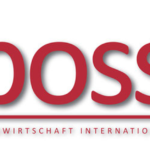 By comparing what they do with what’s going on abroad, our clients can manage activities in their own country. Of course, the consumer, whom you want to buy your products or services, is the focus of the marketing process. 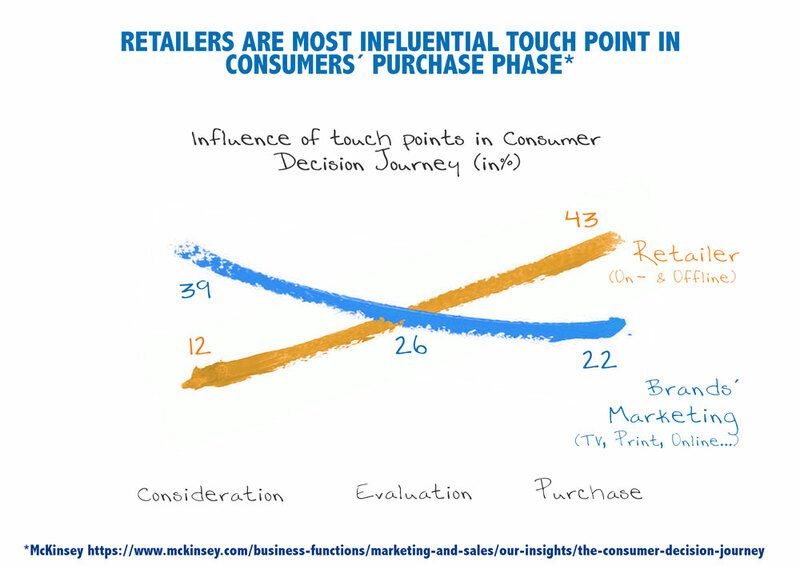 Yet, in most sectors, brands primarily reach the consumer via retail. This means that retail must work effectively alongside the brand’s entire marketing process. If anything goes wrong here, it can’t be put right. Even in the case of categories with little media influence or which don’t sell very often, the consumer’s decision to purchase is made at the retail outlet and not as a result of the brand’s other marketing activities. benchex continually evaluates brands by directly comparing them with their immediate competitors. Only by acting in this way can a company’s competitive strengths and weaknesses be identified and communicated. In creating a quantitative basis for both decision-making and your negotiations with retail, we at benchex don’t replace your good personal contact with retailers… we enhance it! In the non-food sector, a great deal of the relevant sales channels is already managed by sales teams and we need to be aware of and consider each channel’s specifics in order to specify a sensible strategy per channel. benchex analyses market feedback in each channel, laying the foundations necessary for gaining this knowledge. With the help of our reports, personalised to your brand, you can enter into immediate discussions with retailers. In addition, we create an overview of retail’s priorities and its performance compared to the competition – only with our analyses can you plan strategies that are tailored to actual market requirements. 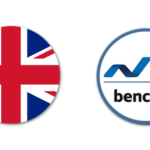 If you work in the subsidiary of an international company, benchex analyses can help you justify your business actions, allowing you to build an objective basis for conversations with your colleagues abroad. If you work in international sales, our analyses will help you compare and manage your subsidiaries. If distributors are in play, the benchex Retail Barometer© helps you to evaluate them subjectively and tactically so you can obtain all the facts and create an objective view of the market. Each brand we work with receives a personalised report which compares its own performance with that of all relevant competitors, regardless of whether we’re also working with these competitors’ brands or not. This is how we’re able to create such a high level of objectivity and how our brand comparison can facilitate significant analyses. We only work in markets in which the intention is to use the Retail Barometer© at regular intervals. This makes the results sustainable. Our Retail Barometer© is used by multiple brands that are either on board from the outset or that decide to participate once the project has started. In each case, your feedback goes to these multiple brands, which also work with the results. Ultimately, these brands invest in your opinion. Your assessment of each brand lasts 2-3 minutes. This can take up to 20 minutes in total because we evaluate multiple brands, but… we always respect your time and continually optimise the questionnaire alongside quite a number of projects. We also only use one questionnaire to evaluate all the brands in a given category – it couldn’t get more efficient than that! Retail participants receive their assessments directly from benchex and not through a third party. In addition, many brands work with their comprehensive, brand-specific report – this means that you will be always be informed of the findings, which, in turn, means that “poor performing” brands can’t hide their result. benchex creates transparency. 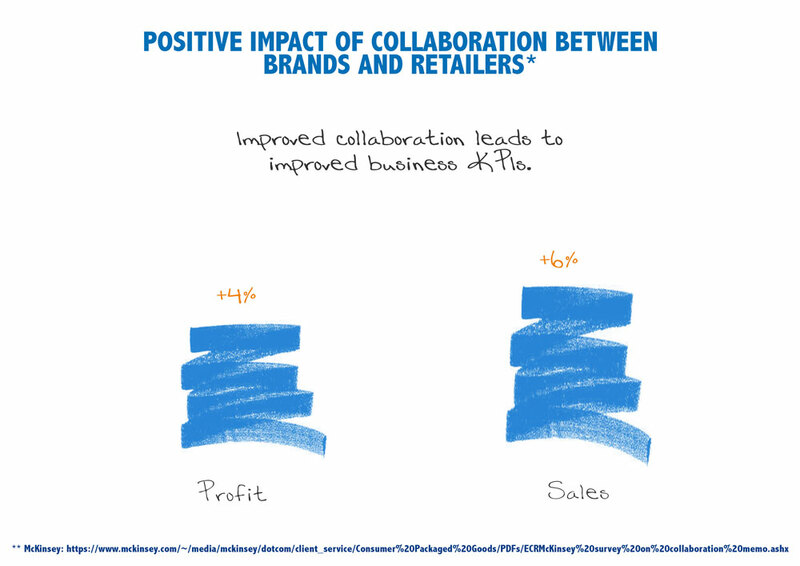 Brands invest in improving their cooperation with you, their retail partners. We present the Retail Barometer’s© findings, as well as your feedback, to management in each brand. Your feedback must, therefore, not go through third parties. It is passed directly (and, of course, anonymously) to the decision makers and only used in one way – to work out what the strategies for improvement should be. Your contributions remain with benchex. Only aggregated and anonymous analyses are passed to the client.